they have all kinds of holiday trimmings available, along with seasonal flowers and greenery. 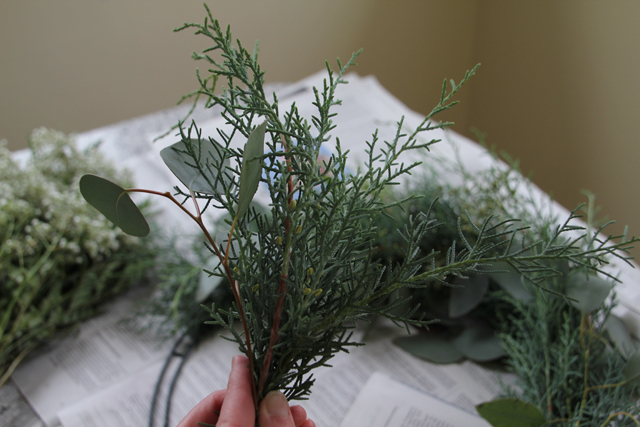 I ended up using just some tree trimmings and seeded eucalyptus, and it was really easy to make. Wrap the floral wire around one of the crossbars on the wreath frame. 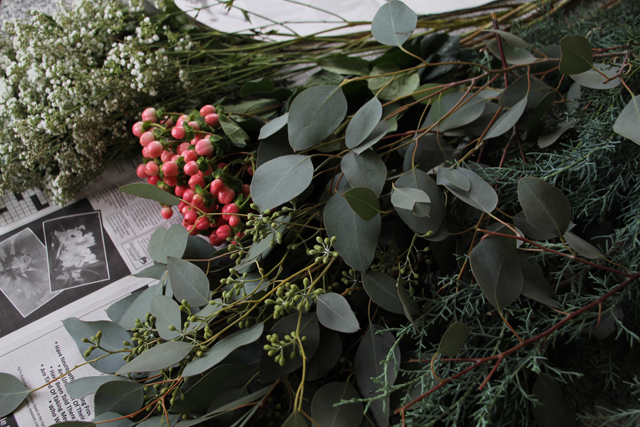 Clip your greenery to desired length and gather into a small bundle. 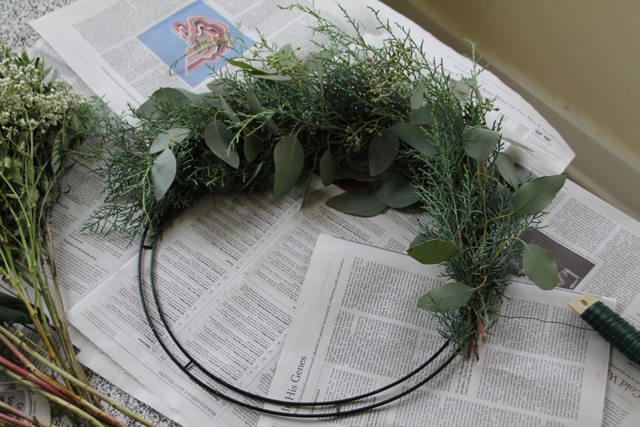 You can alternate and vary the length depending on how uniform or wild you want your wreath to look. 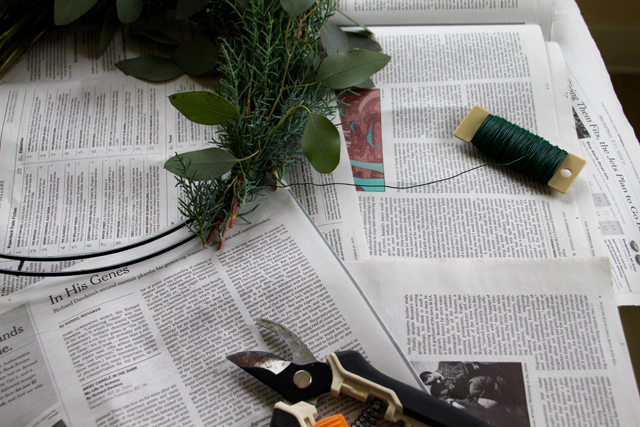 Lay the bundle on the wreath frame and wrap the floral wire around the base of the bundle 3-4 times. Lay the next bundle below the first so that it overlaps the first by half. Run the floral wire behind the frame and wrap around the base of the next bundle 3-4 times. 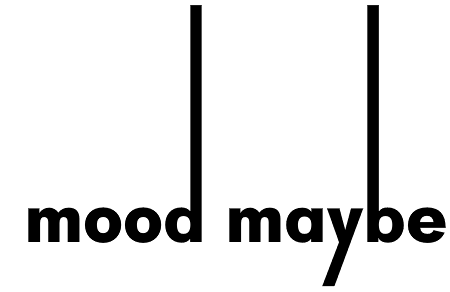 Repeat until you reach the starting point.